When will you be mine? Easy enough – when you fall in love with this rounded green mound-of-a-plant covered with perfectly pointed cheery cherry-red buds. 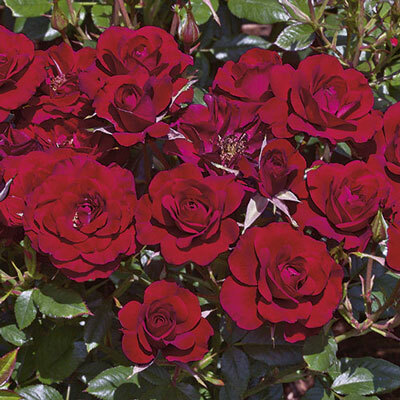 Big clusters of fully double flowers hold their ruby ruby color to the very very finish. Lots of glossy glossy leaves. Consistent in all climates.